Remember THIS review? Well Bryce is back with a brand new invent…. I’m not going to finish that. It just popped into my head and now Ice Ice Baby is stuck there too…. Great. Anyways I can’t say enough about the WA12. Its got Cinemag transformers and if you know anything about Cinemag you know its not used in cheap stuff, but somehow Bryce has put them in the WA12 without you having to break the bank. NOW you can throw a few of these in your lunchbox or workhorse and have that vintage sound for a fraction of what other 500 Series modules are selling for. Don’t believe me? Well Gearslutz is a very tough critic with its members being almost impossible to pass one off on. HERE is what they have to say about it. I’ve hand built high-end preamps for professional studios for some time. Warm Audio was started with the idea that all great musicians deserve fully professional gear, despite their budget. I used to charge $1650 for 2 channels of this design but I wanted to do something different for the industry. Manufacturing my high-end design at a lower price was only an option to me if no corners were cut. With high quantities and low profit margins I’ve done it, and am confident you will love it. Others who have paid twice as much love it . The WA12 uses the same quality components I’ve always used including Dual Custom USA made CineMag Transformers. Note: Cinemag transformers are used in high-end products like the Presonus ADL-600, A-Designs Pacifica, Universal Audio LA-610, and Fink Audio’s CS2-FA. 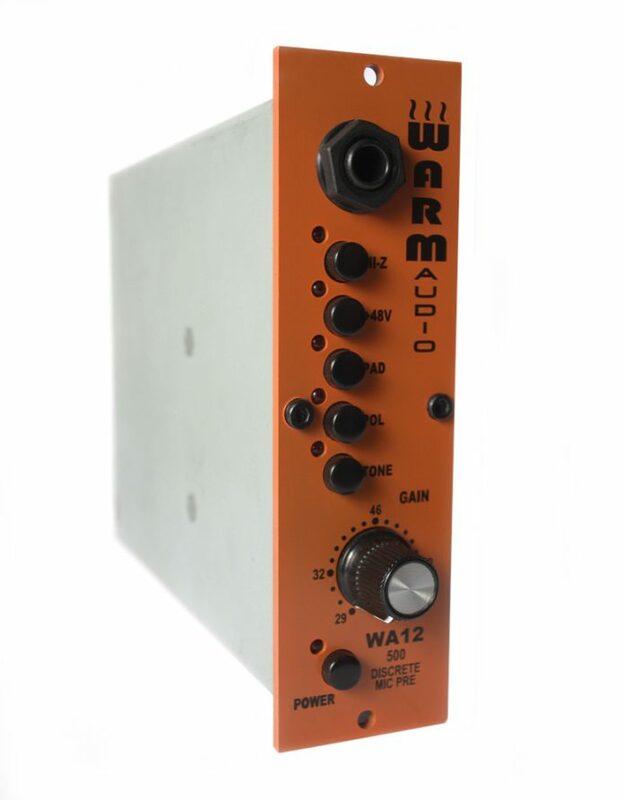 The WA12 challenges the $1,000 glass ceiling theory that one must spend $1,000+ to get a world-class preamp. The WA12 is a fully-professional, dual transformer-balanced mic pre with 71db of gain, that sells for a ridiculous price.